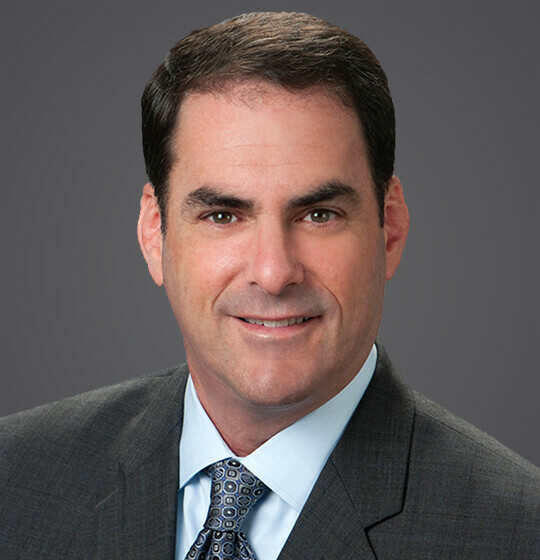 Stuart D. Tochner is a shareholder in the firm’s Los Angeles office, and has represented businesses and employers for over 25 years. Mr. Tochner’s career is dedicated to counseling and defending employers in nearly all employment-related matters, and he represents their interests in both state and federal court, and before administrative judges and agencies. Mr. Tochner’s employment litigation practice spans the breadth of the field, including wrongful termination, sexual harassment, and discrimination cases, wage and hour disputes (including class action defense), as well as other employee discipline and personnel practices matters. He also specializes in representing employers in litigation arising from employee non-competition agreements and trade secret misappropriation matters.Mr. Tochner provides ongoing legal support and counseling on a daily basis for his clients. He provides training to managers and supervisors in all areas of employment law, including sexual and racial harassment prevention, disciplinary practice, and documentation policies. Mr. Tochner also has significant experience handling employment issues tailored to the representation of private colleges and universities.Prior to joining Ogletree Deakins, Mr. Tochner was a partner in the Labor & Employment Department of Musick, Peeler & Garrett L.L.P. in Los Angeles. Mr. Tochner is married with two children, and has served on the Board of Directors of the Zimmer Children’s Museum, Camp Ramah of California, and on the Executive Committee of Temple Beth Am. Mr. Tochner has represented some of California’s largest employers in a variety of contexts. In the area of trade secrets and noncompetition, he has represented a prominent metal distributor, a national advertising agency, and a major Silicon Valley gaming company. He has litigated employment disputes on behalf of some of the nation’s most significant aerospace companies, accounting firms, bottling companies, and a host of other major employers. Mr. Tochner has represented nearly every major private college and university in the Southern California area for nearly 20 years. He has handled faculty, student, and staff matters, and has provided numerous trainings and seminars on topics of unique interest to that industry. December 9, 2016 - SHRM Online - "California Court Allows Statistical Sampling to Prove Class Certification"
July 19, 2016 - Jewish Journal - "The politics of fear"
August 10, 2009 - Los Angeles Daily Journal - "Stuart Tochner Joins Ogletree Deakins"
August 7, 2009 - National Law Journal - "Stuart Tochner Joins Ogletree Deakins"
August 5, 2009 - Employment Law 360 - "Stuart Tochner Joins Ogletree Deakins"
October 19, 2007 - Chronicle of Higher Education - "Occidental College Settles Lawsuit With ‘Shock Jock’ Student"
August 18, 2006 - HigherEd.com - "Sue Before You Graduate"
December 30, 2010 - ABAJournal.com - "Suit Says Law Firm Holiday Party Ended at Bikini Bar"
December 20, 2010 - Los Angeles Business Journal - "Employee Alleges Law Firm Was Like A Frat House"
Statistical sampling has always been an effective and efficient way for plaintiffs to establish class action liability in California. After some hope that a 2011 decision by the Supreme Court of the United States might hamper that ability, a California appellate court has reaffirmed statistical sampling as a viable method available to class action plaintiffs to prove their cases. On May 1, the U.S. Department of Education released the names of 55 colleges and universities being investigated for their handling of sexual assault complaints. This public release of a comprehensive list of colleges under federal investigation is unprecedented. It also has significant implications—and even opportunities—for institutions of higher learning. “We are…..